When it comes to beautiful and functional interior pieces fashioned from concrete, the Chicago-based art, design and innovation studio IntoConcrete has become accustomed to leading the way. Now, they’re lighting the way as well with an innovative line of industrial chic fixtures – Idéeal Ceiling lamps and Idéeal Table lamps created by Concrete Home Design. IntoConcrete, which has garnered international attention for its groundbreaking Corvi Wine Cooler, was honored to feature the lamps in the pressroom at the prestigious Maison&Objet Americas show in Miami Beach. 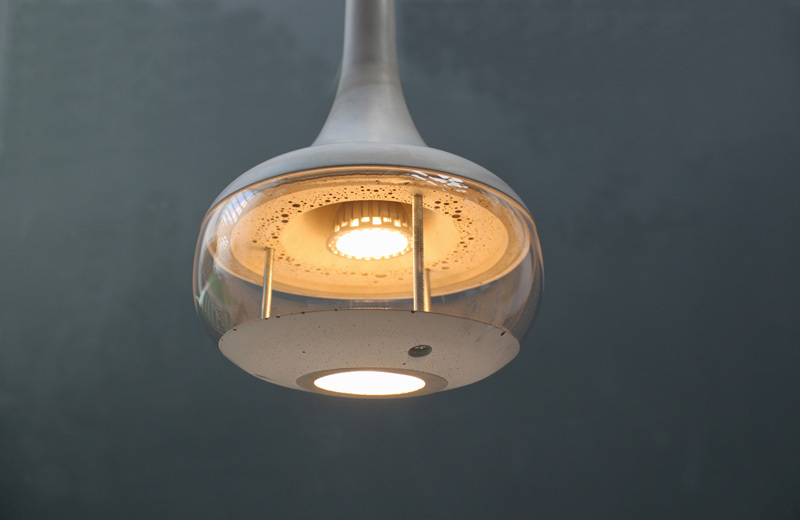 The spotlight these lamps have received is not surprising given their elegant, timeless design flawlessly executed in an unexpected and truly resilient medium. 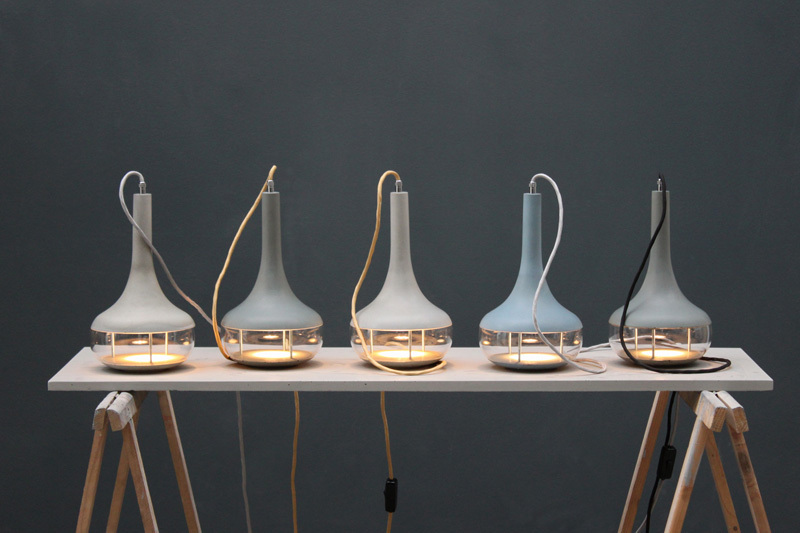 Indeed, the inspiration for the Idèeal Lamps was unexpectedly organic. Terreng was captivated by the lines and distinctive shape of an onion and married that form with the retro 60s glamour common in James Bond movie interiors. 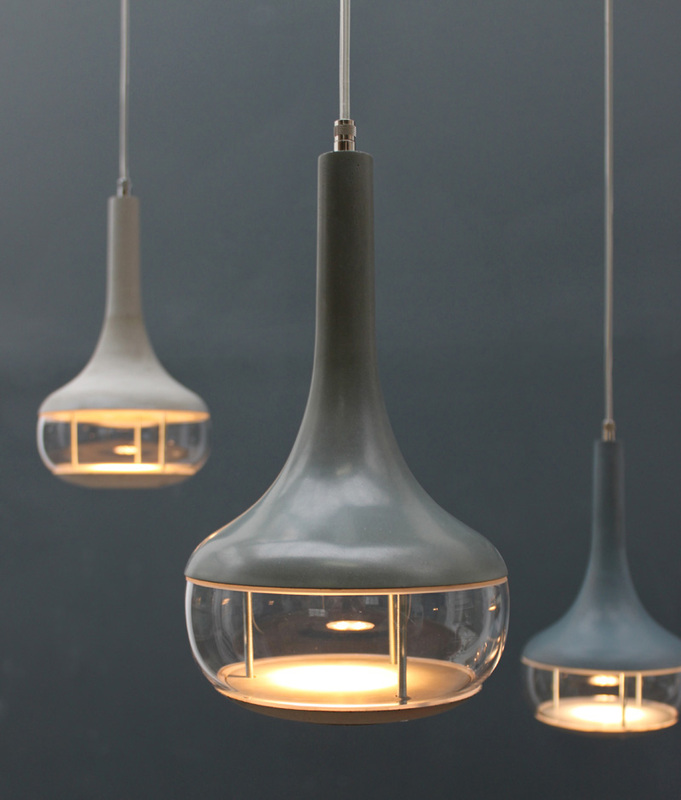 The lamps boast a classic silhouette reminiscent of old enamel factory lights. 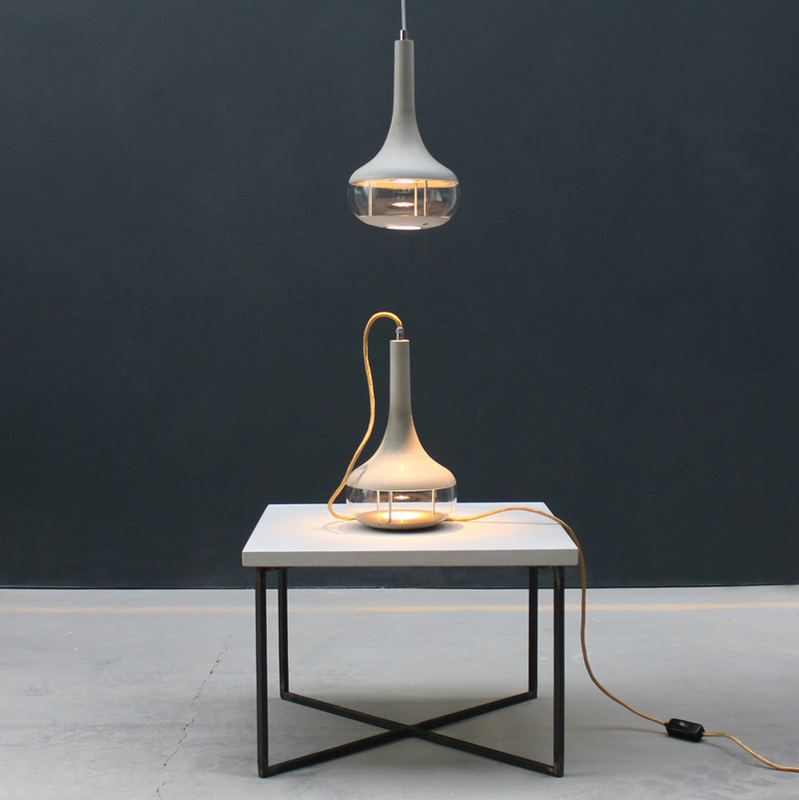 The graceful concrete body is paired with a crystal glass diffuser and highlighted with textile cable to provide a modern twist on a classic style. 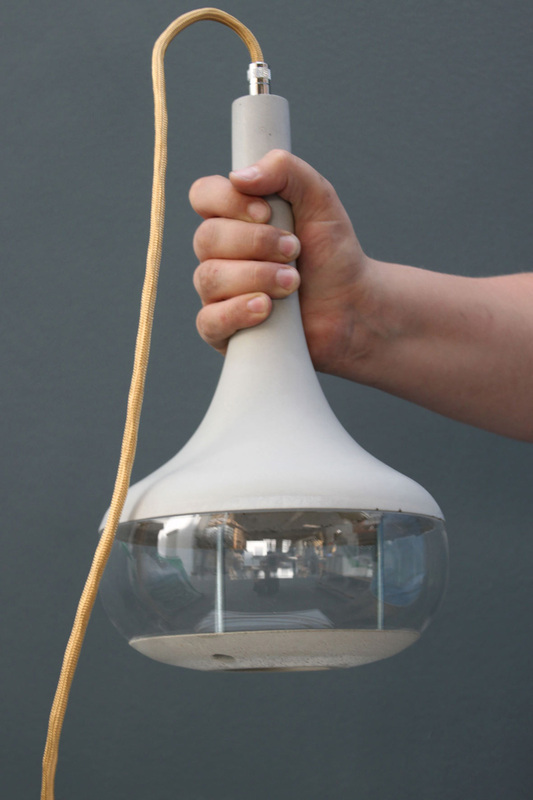 The lamps are an expression of Concrete Home Design’s vision and IntoConcrete’s passion for pushing the boundaries of concrete’s possible forms, colors and structures. 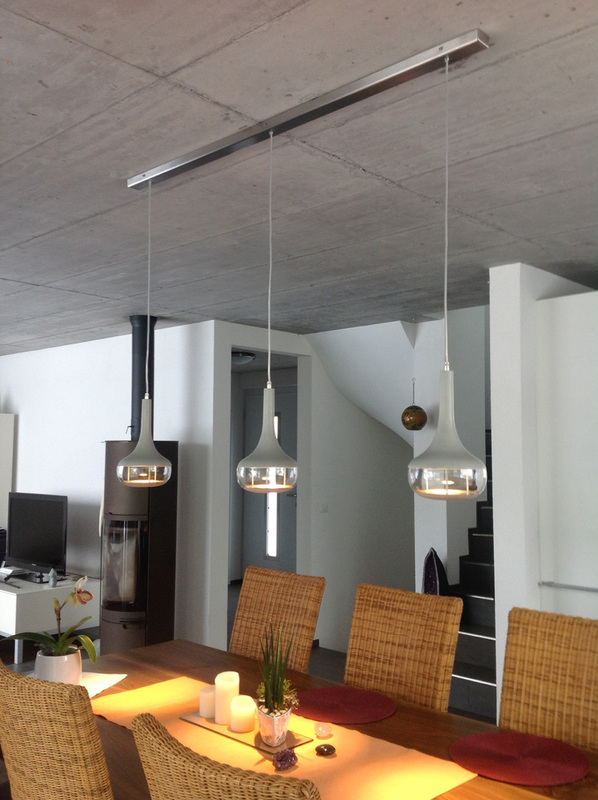 The Idéeal lamps, for example, feature a velvety exposed concrete. Available in both ceiling and table versions, and in three colors, there is certain to be a style that’s right at home in your décor. 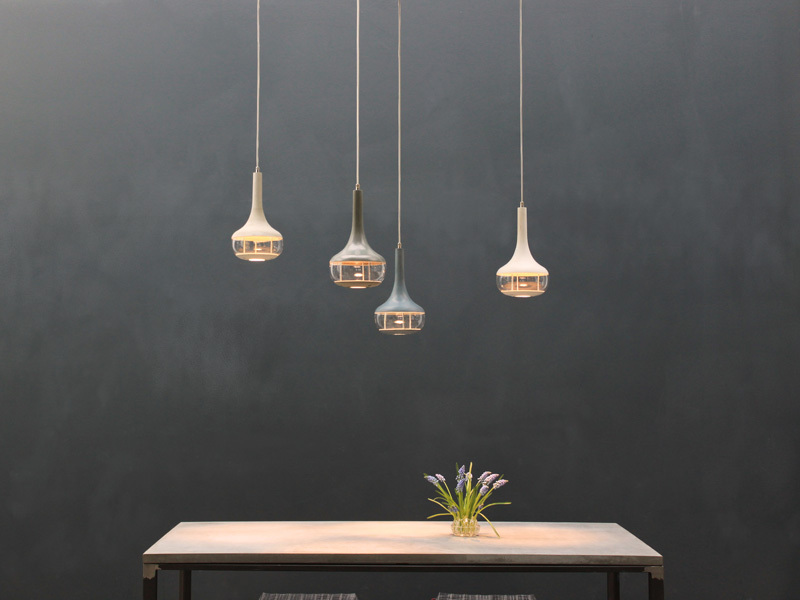 We hope you’ll experience the raw beauty and timeless grace of the Idéeal lamps for yourself. This post has been sponsored by IntoConcrete.